Cleo’s 16th Coffeehouse Mystery, DEAD COLD BREW, a bestseller hardcover is now a national bestseller in paperback. The book was also a “Most Wanted” selection of the Mystery Guild, and honored as a “Top 10 Mysteries for Book Clubs” pick. These light amateur sleuth murder mysteries feature a cast of quirky characters who work in a landmark Greenwich Village coffeehouse. Because the books are also culinary mysteries, each includes the added bonus of recipes, many with chatty and informative introductions by Cleo, a former journalist, children’s book editor, bestselling writer of popular fiction, New York Times bestselling media tie-in writer, and longtime food blogger. You can keep in touch with Cleo through her newsletter, facebook page, and twitter feed. Cleo’s 15th entry in her series, takes her characters to Washington, DC, to open a second location for their Village Blend coffeehouse. DEAD TO THE LAST DROP was a smashing success, not only a bestseller in hardcover and paperback, but also honored by three “Best of Year” lists and named a Best Mysteries for Book Clubs. Readers and reviewers praised the excitement, humor, and topical vision of DEAD TO THE LAST DROP. Like all of the Coffeehouse Mysteries it is also brilliantly produced in audio format by Blackstone. Cleo’s 14th entry in her series, ONCE UPON A GRIND, was honored with a “Top Pick” by RT Book Reviews, a “Fresh Pick” by Fresh Fiction, and a “Best of the Year” reviewer’s choice by KRL magazine. ONCE UPON A GRIND was a Featured Selection of the Mystery Guild. A bestseller in hardcover and newly released in paperback. Download a free Coffeehouse Mysteries title checklist with mini story summaries by clicking here. Can coffee and chocolate heat up your love life? Chocolate and coffee become a deadly combination in Cleo’s 10th Coffeehouse Mystery title, MURDER BY MOCHA, now available in a beautiful paperback edition with a red foiled title. Packed with bonus chocolate recipes, Murder by Mocha is a delicious, fast-paced murder mystery that four reviewers placed on their Best of the Year lists and Bookscan ranked as a Top-10 nationwide paperback mystery bestseller. Join our Coffeehouse Mystery community, keep in touch with Cleo, get free recipes, and win free coffee! 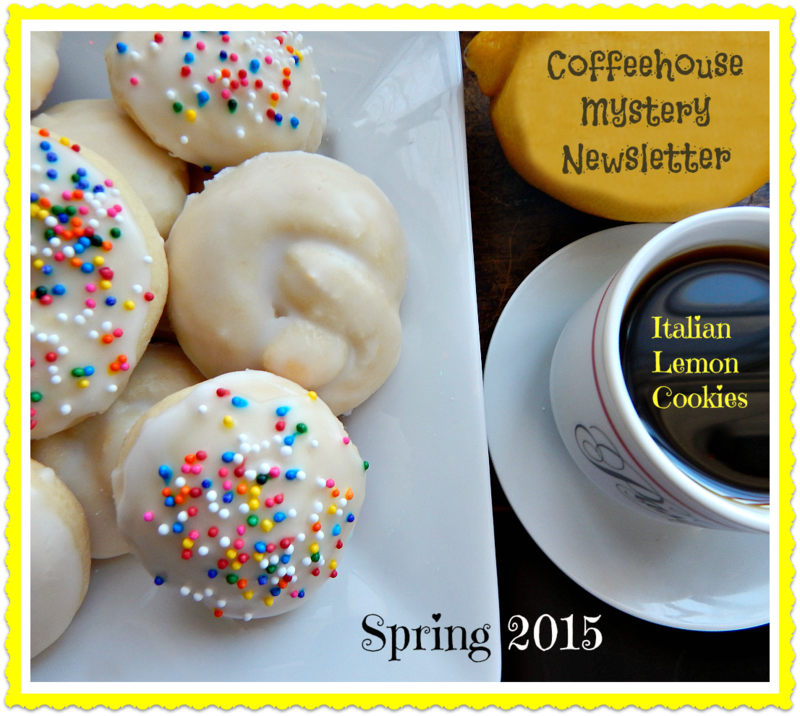 Sign up for Cleo’s Coffeehouse Mystery Newsletter by… clicking here. *Click the coffee cup above for Free Reading Guides and Book Club Discussion Questions for many of the titles in Cleo’s Coffeehouse Mysteries. each of the 15 Coffeehouse books. Friend Cleo on facebook here. Visit Cleo’s online coffeehouse (her official web home) by clicking here.